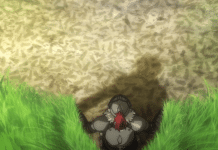 In the last episode of Goblin Slayer, we saw an Orc looking for the Goblin Slayer. It seems that the episode is going to take a new turn. Similar to the Manga chapter, we are going to see how the Episode will introduce a complete new faces and mission. The Orc appeared are the high-level Elf. 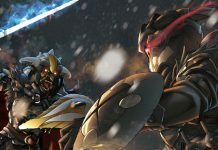 In this Article, we will see Goblin Slayer release date & Spoiler. These Elfs appearance will make everyone suspicious as they are looking for the Goblin Slayer. We will see some great moment between these high-level Elf & the receptionist until the Goblin Slayers appears. As soon as he appears we will be seeing how these Elf will take him upstairs for a meeting. During their meeting, we will be seeing other manipulating the Goblin slayer to become partner with them. On the other side, we will see how the Orc girl wants to know if he really is Silver ranked Goblin Slayer. In this episode we will get to know from the Orc that the army of the monsters are heading to destroy the world & they want someone to help them to destroy the monsters. We all know what the Goblin Slayer wants & when he know that he just has to Kill Goblins, he accepts the proposal in an instant. During the conversation, the old guy will tell him that, an Old Demon Lord who was sealed away has now been awakened and now is seeking exterminate them. After seeing the old map, he decided to go alone in the quest for the hunt of goblins. Talking about the release date, the Episode will release on 20th October & in this episode, we will get to know more about the quest in Detail. We are not sure if we will see him going for the quest on the same episode, but we are sure that an adventurous episode is waiting. 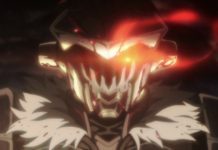 Goblin Slayer Episode 3 will release on 20th October and in thisn episode we will see Goblin Slayers new journy with the Orcs.